An apology is in order to the two Blogger friends, who gave me these awards over a month ago. Thank you for your kindness and patience. Cathy Bryant, over at Word Vessel, bestowed the Honest Scrap award upon me. Check out her blog for excellent interviews and book reviews. I'm passing this award on to five people, who work hard to provide excellent content and share their writing journey. Blogger friend, Stina Rose, honored me with the Friendship Award. Thank you, Stina Rose. At her blog, she shares thoughts from the margin of her Bible, snippets of her work, book reviews, and lots of interesting tidbits. I'm passing this meaningful award to four women, who have become good friends. We've never met in person, but I hope someday we will. There you have it - two fabulous awards! Thank you Cathy and Stina Rose. Congratulations to all the new recipients. Wow, Susan, you are collecting those awards to the sky! Congratulations to you, and kudos to all the deserving bloggers you passed them on to. You're welcome! I hope people will visit your blog and enjoy it as much as I do. LOL! Pretty soon I'll need one of those widgets that scroll through all your awards. Have you seen those? I wonder how complicated they are to install. I visit Katie's and Eileen's blog and will have to check out these others. Thank you for this special award! 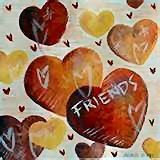 I pass it back to you as well because you are a special friend too! Thanks for stopping by, and commenting. These folks have much to share. Thank you. :) I hope the award brightened your day. Congratulations, ladies!! Looking forward to taking a few moments to check out your sites. Have a great day, Susan!! God bless! Congratulations on your awards, Susan! And thanks so much for passing one over to me. you are so sweet and I'm proud to call you a friend too! Susan - Thank you for your word of encouragement on my Life Lessons post last Friday! You made my day! I do plan on submitting a compilation of devotions, just in the research phase right now! Blessings to you! *I wanted to e-mail this to you, but realized I didn't have your address. Thanks and you're welcome! The best part of blogging is finding so many new friends. Thanks, Susan! You made my Monday special. I'm glad we've met on Facebook, and I hope that someday we'll meet in person. Congratulations on your blog awards and God bless you. Congratulations to the winners! Thanks, Susan, for sharing the links. You're welcome. Have a great evening! Congratulations! I am off to check out the blogs you honored with the award. Thank you! I know you'll enjoy getting to know these fine writers. Congrats on your awards, Susan! You deserve them! And thanks for passing an award on to me! I love receiving little surpises. Hope you had an awesome Monday! Thanks. I had a productive day, including the submission of a short story to Chicken Soup for the Soul. You're welcome. Are you on Facebook? If we're not already friends, give me a shout. It's a great way to communicate. I missed your award day. :-) Congrats on the them, and congrats to those you passed them on to! Thanks for the congrats. I appreciated the Loyal Friend and Reader Award you gave me. Aw, thanks, Sharon. :) Have a great day! Thanks for the round-ups, Susan. I always like seeing what you have to recommend.